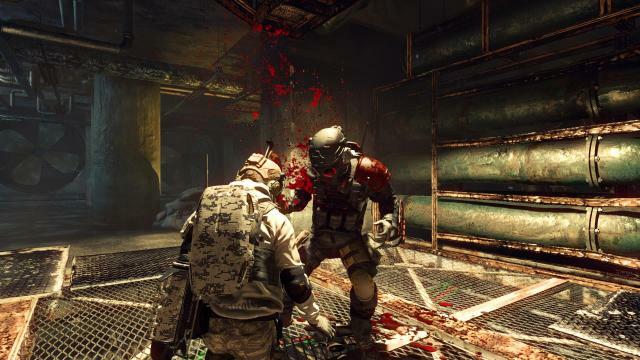 Developer Spiders has been creating story driven action RPGs for the better part of a decade. While the right concepts are there, many of the company's games, including the likes of Bound by Flame and Mars: War Logs, buckle under the weight of their own design. 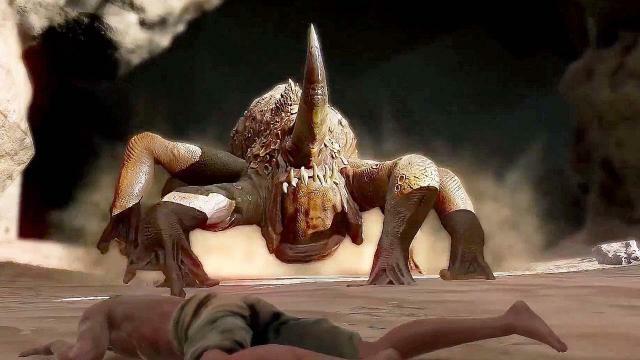 This hasn't stopped Spiders though, as the developer is now back with The Technomancer, a sequel to Mars: War Logs and Spiders' most ambitious release yet. However, just because more features have been added and the world has been expanded, that doesn't mean it's a better game. Taking place on Mars over 200 years since it was colonized by humans, you take on the role of Zachariah Cancer. Fresh out of the academy for technomancers - where cadets learn to control their electrical powers - you're tasked with keeping the peace for the Abundance corporation while also providing support in the war effort against its rival, Aurora. Details of the war aren't so clear cut, however, and there are many different factions within the two corporations that hold opposing views, or are just in it to make a quick buck. As Zachariah, you'll eventually attempt to bring an end to the conflict with the help of companions and whichever factions you see fit, while at the same time delving into the origins of the technomancers. While the premise is pretty decent, The Technomancer relies heavily on clichés, like you being the young rookie with something to prove, the tribal mutants being treated as slaves, and you having to watch your former master be gunned down as he sacrifices himself. It doesn't help that the script is cringe-worthy and overt in its message, and it fails to find a balance with its long winded monologues that every character - important or not - seems to enjoy producing. The voice acting is equally abysmal, with some characters sounding as if they've been voiced by the developers themselves. 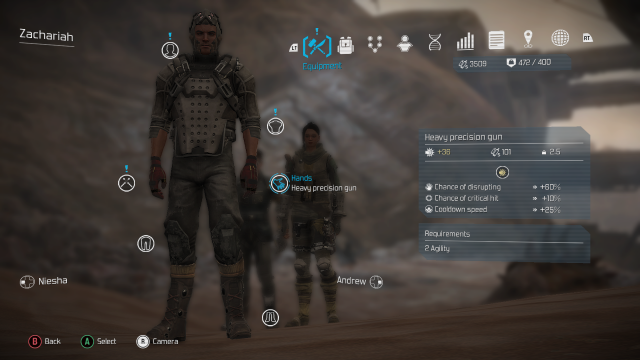 The faction system attempts to give the game a sense of choice, though it's difficult to actually determine what action will support which faction and the feature generally feels underdeveloped and rushed. Companions also feel like bad counterfeits of Bioware characters, complete with the intelligent mutant tribesman who feigns stupidity. 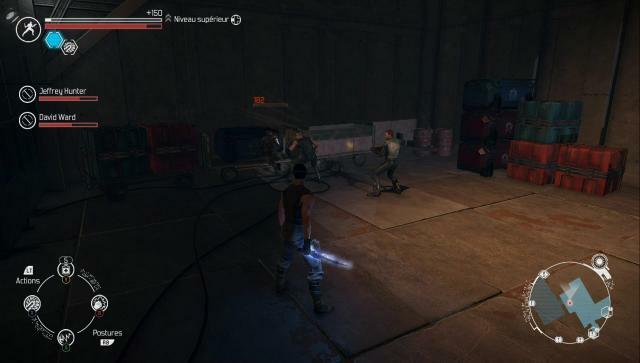 The Technomancer tries to accomplish too much and would have benefitted from a tighter and more focused narrative. Zachariah and his companions have a variety of five different weapon styles, though two are only for companions. 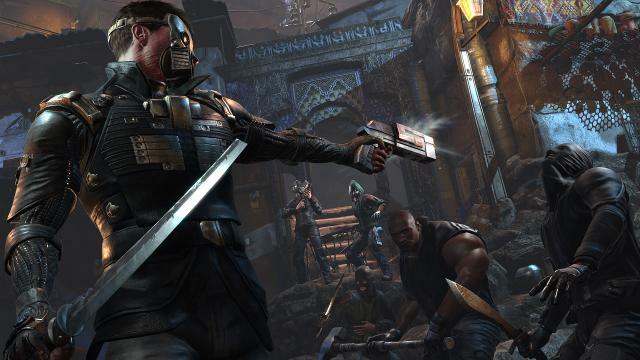 Three different styles of fighting are open to the technomancer, with the staff being offensive, the mace and shield being defensive, and the knife and gun offering a speedier option. Each have tiresome one button combos, as well as a stunning attack that keeps enemies off balance and is used to either doge or defend. A majority of combat is simply attacking and dodging, with a stun thrown in to allow you to keep button mashing. 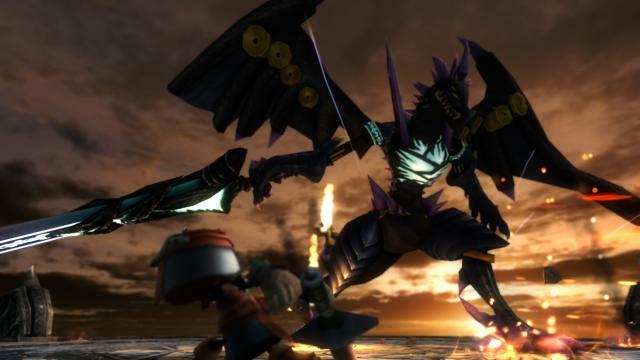 Even with the skills learned throughout the game, combat is not very inventive and becomes tedious, and it doesn't help that there are a lot of battles. As you progress you'll be able to spend skill points in one of four trees, and you'll also receive attribute and talent points. Talents let you become more proficient at passive abilities like using charisma in dialogue trees, lockpicking, or crafting upgrades for equipment. Attribute points allow you to upgrade you strength, agility, power, or constitution. Talents and attributes work well enough, and even give a better sense of customization, but by the end of the game and with the right equipment, you can gather nearly all of the talents and most of the attributes. This ultimately creates an overpowering feeling that does not mesh well with boring and frequent combat. Skills offer different abilities for the three different weapons, with the fourth tree being technomancy skills. Weapon abilities range from upgraded dodge and stun attacks to combat abilities like a staff tornado or an explosive shot. Though using the different abilities can be fun and help to break up the monotony of combat, it's too easy to be stunned by enemies that alter the painstakingly basic yet effective strategy. Technomancy abilities are much more fun, as they are generally more easily utilized while giving a more effective ranged attack. Technomancy uses a power meter to use skills, with some of the skills requiring active upkeep, like electrifying weapons or using a magnetic shield. Other abilities cause more direct damage, with the electric storm being a great way to dispatch groups of enemies and alleviate some of tedium, for example. While there are multiple trees with a total of 12 abilities, you'll only be able to make use of just a couple since there are only so many levels to gain. The technomancy skills being the most entertaining and effective it would be wise to invest in that tree. Yet utilizing too many skills during combat will definitely lead to quick and frequent deaths due to the AI’s overwhelming use of unfairly powerful stun attacks. As a result the tedious basic combat provides the greatest chance of survival. Any good Bioware game has dialogue trees, choices to be made, and a karma system, and as with the rest of the game The Technomancer attempts to copy these. Though there seem to be many choices to be made throughout the different quests, they have no real impact on the game's outcome, since the major story points are etched in stone. The one major choice that actually affected the story was when I decided to kill a mob boss. Unfortunately he proved integral to moving the main quest along, so this was a game-breaking “choice” with no workaround which will force players to find a previous save or start over after nearly 30 hours of playtime. 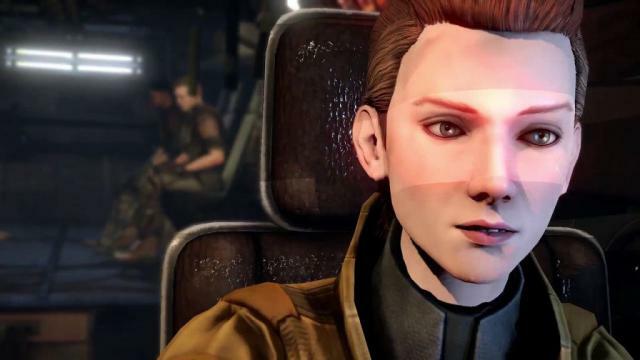 Characters have much to say during conversations and there are plenty of dialogue options to explore, but they tend to go on long rants that have no relevance to your mission. The karma system feels like it was thrown in right at the end of development, as I've seen no positive or negative effects of being either good or evil. Companions, who I believe are meant to comment on when you kill enemies or do evil deeds, fail to say anything most of the time. Even if they do, they've forgotten about it by the time you get to the next conversation. The artistic design also fails to impress. 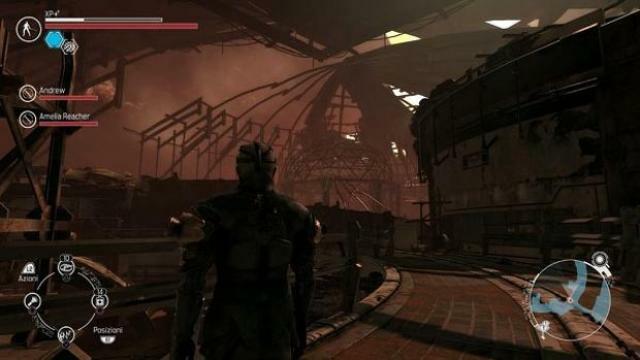 While the main city has a great Total Recall feel, with the futuristic upper echelon and ragtag slums and the explorable areas on Mars giving the game world an alien feel, the finer details are missing. Textures are bland, areas resemble each other too much, and everything is extremely dark, with lighting effects being inconsistent at best. The character models aren't much better and it seems no one is capable of showing any emotion. Oftentimes characters look like dolls, especially the more minor NPCs. 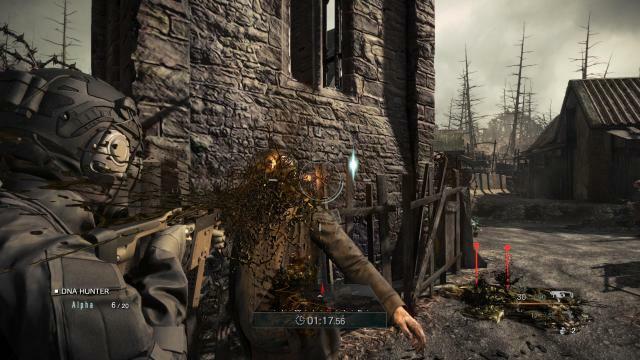 The whole game generally resembles a title from the middle of the previous generation, complete with many angled body parts and features. The soundtrack falls flat too, featuring many sci-fi oriented tunes that try too hard to be catchy. While it may be clichéd and feels very borrowed, The Technomancer has the foundations of a really fun action RPG that's filled to the brim with different features. However, even though this is Spiders’ largest and most ambitious effort to-date, bigger doesn't always mean better. Combat is clunky and tiresome, the story is uninteresting, choices are uninspired, and game-breaking instances occur. If The Technomancer were more unique, many of its flaws could have been overlooked, but with so many similar games available at better prices it's hard to recommend what ultimately feels like a budget RPG. Capcom has released the cinematic story release trailer for Street Fighter V.
A Shadow Falls expansion releases tomorrow, July 1st for free. 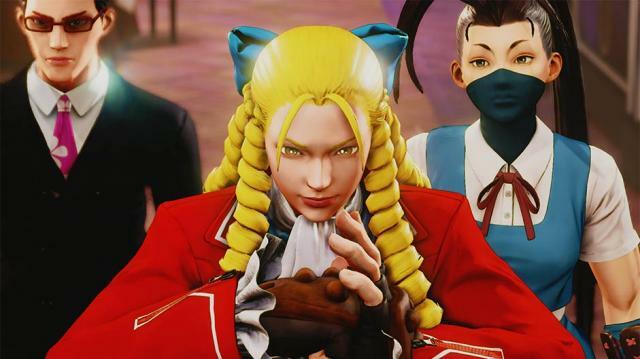 It releases alongside an update that adds two new playable characters: Ibuki and Balrog. There are also two new stages, costumes, in-game currency shop, and more. The Cinematic Story Mode must be downloaded as a separate update from the PS Store or Steam Store. All players will have to first patch Street Fighter V with the 1.04 update by logging into CFN and then download the Cinematic Story Mode update for it to be accessible in the game. We will be conducting server maintenance starting June 30th at 14:00 PT / 10 PM BST / 11 PM CET with the update going live on July 1st at 00:00 PT (midnight) / 08:00 BST / 09:00 CET. The Street Fighter V cinematic story expansion is divided into five acts and takes place between Street Fighter IVand Street Fighter III, bridging the events that happen in between the two stories. “A Shadow Falls,” depicts the ultimate battle between the evil Shadaloo organization and the heroic World Warriors who rise up against them. 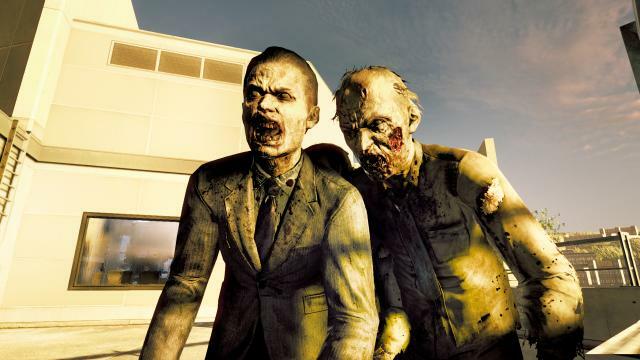 As the story unfolds, players will enter battles using each of the core 16 characters, in addition to the 6 (released and unreleased) 2016 DLC characters, each with their own unique contribution to the epic clash. “A Shadow Falls” is free content available to all players and it marks the first time in franchise history that consumers will be able to play through this type of cinematic experience in a Street Fighter game. The epic battle between good and evil begins soon… who will RISE UP? In-game Currency Shop – The in-game store will be upgraded with the PlayStation Store and Steam real money purchase options, for their respective platform. For players who want to purchase content like new characters, stages and costumes outright without using Fight Money, the process will be familiar with purchases happening through the established first party infrastructures. The Pokemon Company has released a new trailer for Pokémon Sun and Pokémon Moon that shows off new Pokémon. Pokémon Sun and Pokémon Moon are due out November 18th for the Nintendo 3DS. The Arc System Works action RPG, Inferno Climber, launches on Steam Early Access on July 6th. A long, long time ago... There were 5 Purgatory Stones with enormous magical powers. Beware of traps and keep a look out for treasures and secret paths. Manage food and items to ensure survival in the World of Inferno. Search for Treasures across the land. The same treasure chest could be plundered from multiple times! 2K Games has officially announced BioShock: The Collection. It includes all three games in the franchise: BioShock, BioShock 2 and BioShock Infinite, as well as all of the single player DLC and a never-before-seen video series, "Director’s Commentary: Imagining BioShock" for $59.99. BioShock: The Collection releases for the PlayStation 4, Xbox One and Windows PC on September 13th in North America and September 16th worldwide. Nippon Ichi Software has released a new trailer for the upcoming adventure RPG game, World’s Longest 5 Minutes, that introduces the battle system. World’s Longest 5 Minutes releases for the PlayStation Vita on July 28th in Japan. Bandai Namco has released the DLC trailer for the upcoming PlayStation 4, PlayStation 3 title and Windows PC, Tales of Berseria. Tales of Berseria releases on the PlayStation 4 and PlayStation 3 in Japan on August 18th, and in North America and Europe in early 2017 for the PlayStation 4 and Windows PC. The Danish independent studio Playdead has been in business since 2006 and has released only two games. For many high-profile studios, that lack of output would sends fans into high alert. Yet, with Playdead, the fans are happy to wait. Its first game, 2010's Limbo, was a one-of-a-kind journey through a nightmare world filled with giant spiders, brain-altering worms, and some truly distressing death animations. Its spiritual sequel Inside, which borrows heavily from Limbo, is just as disturbing and, ultimately, just as extraordinary. In addition to Limbo, from which the game takes its nightmarish landscape and monochrome palette, Inside finds inspiration in small-budget high-concept games like Valiant Hearts, The Swapper, and Never Alone. Make no mistake, though; Inside is a special and uniquely disturbing game. It is very much an evolved form of Limbo, in terms of graphics, presentation, animations, controls, and level design. 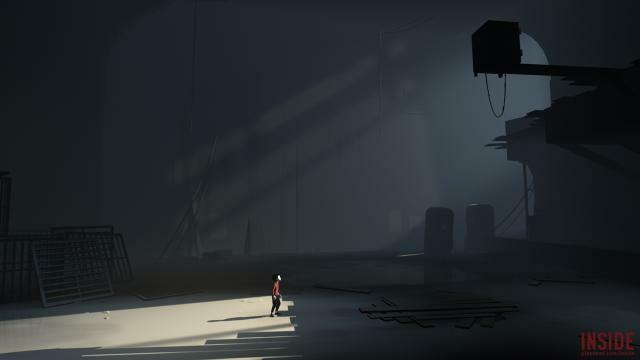 The story of Inside is best experienced first-hand, but a bit of scene-setting is in order. Players take control of a young boy stranded in the wilderness. Pursued by shadowy men, he escapes through rivers, farmland, and derelict buildings, along the way finding evidence of death, destruction, and sinister experimentation. There are plenty of twists, turns, and revelations that will make your head spin. 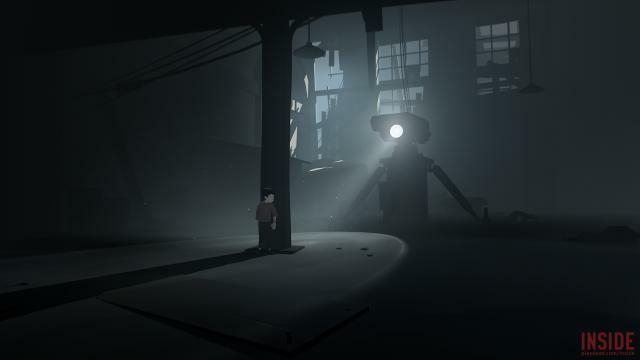 Like Limbo, Inside is a 2.5D puzzle platformer. Our hero can run, climb, and swim over and across a number of obstacles. He must use stealth to avoid searchlights and sentries, and must outrun or outsmart packs of vicious dogs. Commands are restricted to the bare necessities: run, jump, and interact. 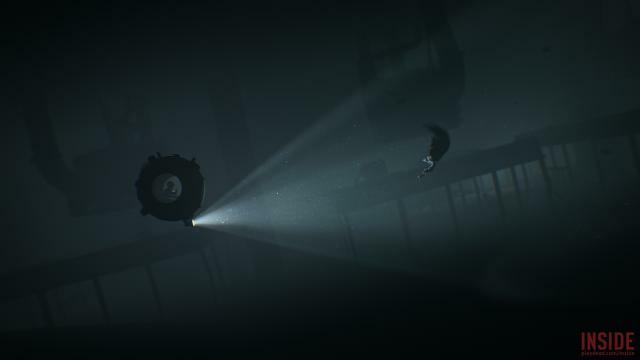 Inside is more about the journey and less about mechanically complex puzzles and scenarios. Therefore, the game will leave a powerful, perhaps permanent indentation on video game fans who prefer games rich in story and atmosphere. It might leave a less lasting impression on those craving a more interactive and challenging experience. While there are a handful of head-scratching puzzles - in particular the inventive "mind control" stumpers - the majority of puzzles are on the easy side. In the same way, platforming is mostly simple and straightforward. In terms of ambience, however, Inside is spectacular. The mostly black-and-white backdrops and nightmarish imagery evoke feelings of fear, desperation, and, at times, hopelessness. Moreover, Playdead's use of sound is ingenious. 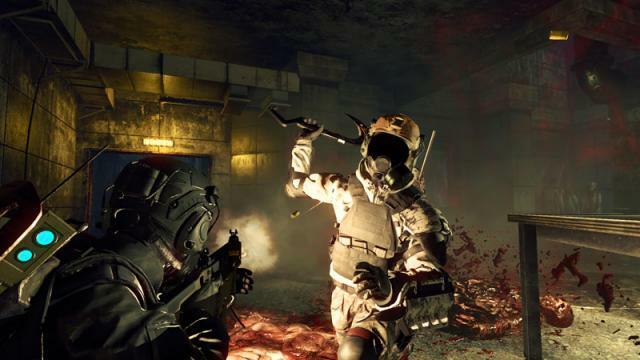 The game is mostly silent - sometimes deafeningly so - but that silence is at random punctuated by the ominous click of a flashlight, the lonely drip of water, or our hero's own heavy breathing. This is the stuff bad dreams are made of. Despite some straightforward puzzles and undemanding platforming, Inside shines thanks to Playdead's masterful storytelling and focus on immersion. The game is scary, and heartpounding, and dripping in atmosphere. When it's not sending you into cardiac arrest, it's bending your mind with plot twists and challenging your reflexes and brain power with a series of platforming and puzzling challenges. In the end, lightning strikes twice for Playdead. Six years was worth the wait. Sam Barlow's FMV adventure game, Her Story, is now available on the Google Play store for Android devices. 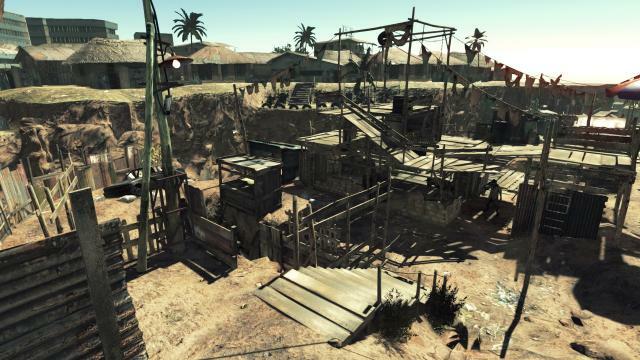 The interactive crime thriller won several awards last year (where it was available on iOS and PC) including Best Narrative at The Game Awards 2015. Her Story is available now on iOS, Android and PC.